Money and possessions are in themselves neither good nor evil. Poverty is not a virtue, and wealth is not a vice. The moral factor is brought to bear through both one’s attitude toward material things and how one uses them. A.W. 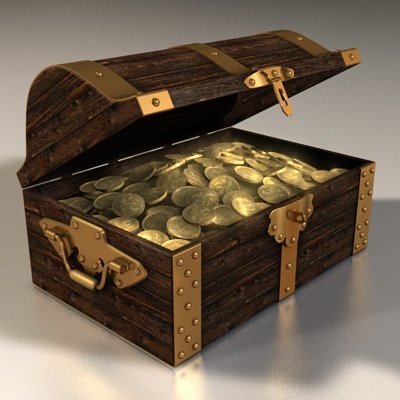 Tozer wrote in his classic book The Pursuit of God, “The man who has God for his treasure has all things in One…Whatever he may lose he has actually lost nothing, for he now has it all in One, and he has it purely, legitimately and forever.” If the Lord is our treasure, then all other things no matter their monetary value will hold great sway over us. Money and possessions assume their rightful place, and we adopt the attitude of a steward, that is, one who cares for what truly belongs to another. Jesus taught us, “For where your treasure is, there your heart will be also.” As followers of Jesus we are to hold tightly to Christ and loosely to money and possessions. We are to use what God has entrusted to us wisely and desire a heart that is generous. How we handle money is directly tied to how highly we value it and what it can buy. May we find that the Lord is truly all that we need and the only One who can satisfy us fully and ultimately.